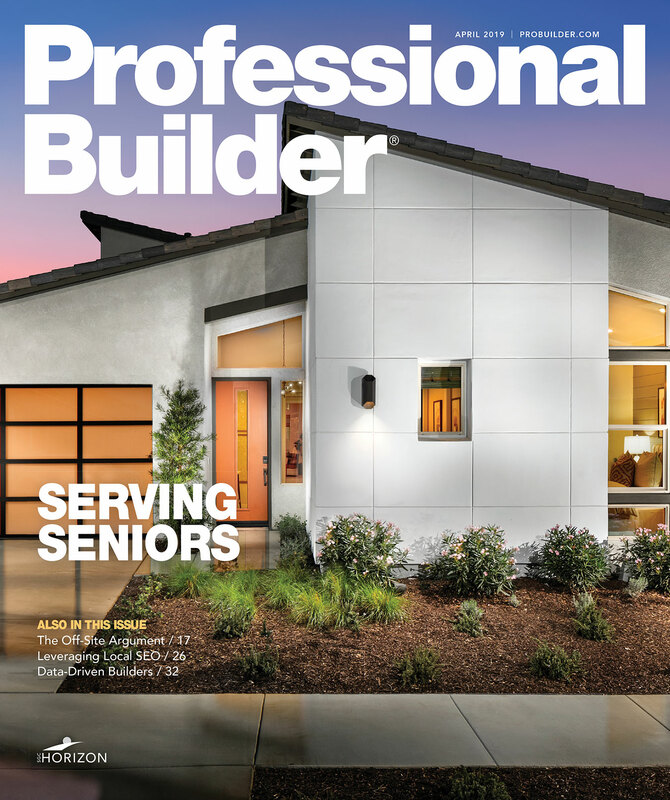 Building scientists and leading home builders offer tips and techniques for designing and building 'market-rate' net-zero energy homes. Meritage Homes. KB Home. Nexus EnergyHomes. Zeta Communities. Wathen-Castanos Hybrid Homes. They are among the growing number of production builders focused on bringing net-zero energy homes to the masses. Unlike their predecessors in the budding ZEH (zero-energy homes) market, which made a living by designing and building primarily one-off, high-cost zero-energy homes, these builders are keenly focused on offering ZEHs on a production scale, and at price points that are affordable to virtually anyone who walks into their sales centers and models. Take Nexus EnergyHomes, for example. The start-up builder, which operates in markets in the Washington, D.C., and Philadelphia areas, is selling net-zero energy attached and detached homes that come standard with rooftop photovoltaic panels, geothermal heating and cooling, energy recovery ventilation, and other systems commonly thought to be cost prohibitive — and at price points that are within 7-10 percent of comparable, non-ZEH products in their markets. We asked Murphy, Wood, and other expert builders and building scientists to share some tips, techniques, lessons learned, and common mistakes when building ZEHs. What follows is by no means a comprehensive list, rather a collection of considerations and best practices for production builders interested in the ZEH market. In an ideal world, production builders would simply follow the core tenants of optimized orientation, such as limiting the number and size of east- and west-facing windows, designing the roof to accommodate solar (size, orientation, pitch, etc. ), use of shading on elevations where solar heat gain is an issue, and orienting the home for the local climate (e.g., maximum southern exposure in colder climates). But the reality is most production builders don’t have the luxury of optimizing a site for ZEHs, says CR Herro, VP of environmental affairs with Meritage Homes. “Build it tight, vent it right.” It’s a phrase commonly used by experts to describe the two most crucial design tenants of energy-efficient home construction. Without a virtually airtight, well-insulated building envelope, achieving the energy performance levels required for ZEHs is nearly impossible without a massive investment in renewable energy systems. The good news for builders is that getting the building envelope right is one of the lower-cost, higher-return investments when designing for net-zero performance; it comes down to good building practices. Wood says production builders today have a much better handle on proper air-sealing and insulation techniques than just several years ago, but she still sees plenty of mistakes in the field, starting with materials selection. 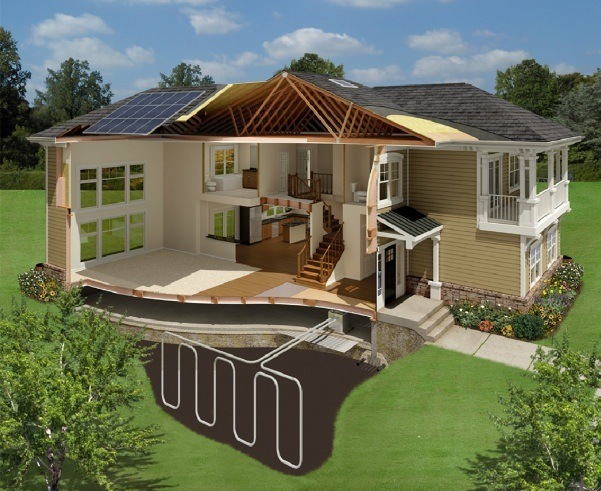 Nexus EnergyHomes is building net-zero-capable homes in several markets in the Washington, D.C., and Philadelphia areas. Each one of their homes comes standard with photovoltaics, geothermal heating and cooling, energy recovery ventilation, and SIPs construction. Anthony Grisolia, manager of quality and performance with IBACOS, advises builders to pay particular attention to the attic “lid,” or floor. “When we sealed that area in the Energy Efficiency Lab Home (a test home built near Pittsburgh), it was the biggest one-step decrease in infiltration,” he says. • Continuous air barrier from the basement slab to the attic floor. Grisolia says each transition of materials needs to be carefully detailed. That means the basement slab to the basement walls needs to be air sealed (“That small crack can result in a lot of air leakage,” he says); the foundation to the floor system needs to be air sealed, whether through housewrap or another material; and the walls to the attic floor need to be air sealed. • Recessed light fixtures. Make sure the airtight gasket is installed during the trim stage, says Bruce Dickson, building performance specialist with IBACOS. • Attic hatch sealing. “Make sure the attic opening is fully gasketed and that the pull-down stairs, or door, come into full contact with the gasket to provide a thorough seal,” says Dickson. • Detailed scopes of work. Lyons says air sealing should be treated as a production management issue rather than a technology issue. “Builders who successfully get tight houses from air sealing do so by having good contractor scopes of work and responsibilities laid out,” he says. The biggest mistake that builders make when designing the mechanicals for their high-performance homes is over-sizing the systems. Right-sizing the HVAC equipment is vitally important, says Wood. 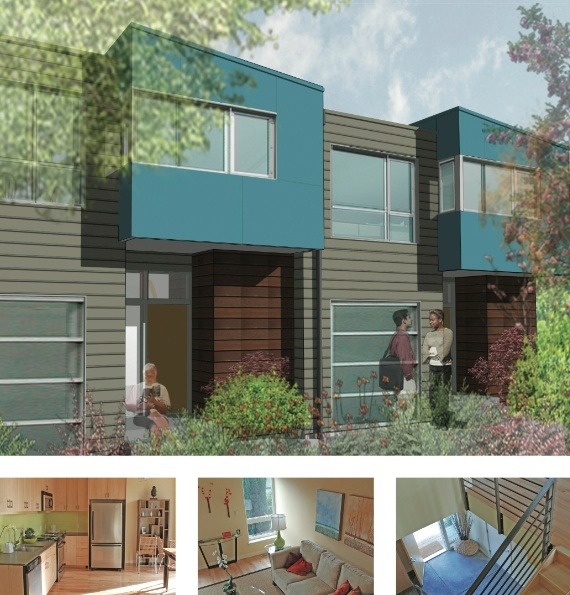 The Lancaster Net Zero Energy Live/Work Townhomes development in Oakland, Calif., is one of a half-dozen net-zero energy residential projects that start-up Zeta Communities has built and sold in the Bay Area. Getting ventilation right is critical since ZEHs are virtually airtight. There are three primary strategies for ventilating a home: exhaust ventilation, supply ventilation, and balanced ventilation. Wood says there has been some contention among building science experts and builders over which ventilation strategy is ideal for high-performance homes. • Assess if proposed array location supports a solar resource potential of more than 75 percent of the optimal solar resource potential for the same location using the online RERH Solar Site Assessment Tool (SSAT). • Provide code-compliant documentation of the maximum allowable dead load and live load ratings of the existing roof; recommended allowable dead load rating can support an additional 6 lbs./sf for future solar system. • Install permanent roof anchor fall safety system (NA for roof pitch ≤ 3:12). The trick to pulling off a net-zero energy product in the production building environment is to consider renewable energy last. Only after the building envelope is as airtight and well insulated as possible, and things like building orientation and HVAC systems are fully optimized, should decisions be made on the energy production requirements. The first and most crucial step in designing ZEHs is to partner with a home energy rater or building science group — a third-party expert who can perform detailed energy simulations on designs and work with builders to determine the trade-offs in materials, systems, and approaches. These experts can also assist you and your trades with the physical testing of your homes, such as blower door tests, to verify the performance and identify problem areas. In many cases, the difference between a true net-zero-performing house, where all energy consumption is offset by the energy production systems, and a near-net-zero house is how the occupants use the home. And much like the building orientation discussion earlier, builders only have so much control. “We’ve studied identical zero-energy test houses side-by-side, and one of them was producing energy and the other was still consuming, all because of the homeowners,” says Wood. “It may be a family with a parent at home full time with kids, so the house is in use all the time, versus a working couple gone all day." The key, says Wood, is educating homeowners on how to operate and maintain their home — not by just handing over a homeowner’s manual, but by sitting down and carefully explaining how the home works. She says some builders encourage their buyers to reduce energy use by organizing neighborhood energy bill contests through the HOA. Nexus EnergyHomes takes it a step further by equipping each home with their proprietary energy management system, called NexusVision. Murphy says the system is a powerful tool because it allows homeowners to monitor, in real time, both energy production (through rooftop PVs) and usage on a circuit-by-circuit basis, down to the breaker level.